I liked it well enough, it just didn't capture me. The story is a bit slow and the characterizations aren't great. A twist at the end was unexpected. The first word that comes to mind is insipid although it's not quite an uninteresting as the word implies and it is sweet. But, just a bit meh for me and I know it's not one that I would reread. I think most fans of historical fiction will enjoy it and there are many 4 and 5 star reviews on Goodreads and Amazon to attest to that fact. Thanks to Noelle at Bethany House for the opportunity to review this book. You can learn more about Lisa Norato here. You can purchase your own copy here . 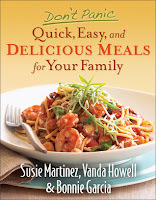 An easy to follow, practical cookbook that will appeal to many. 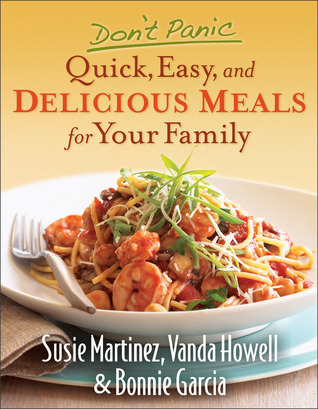 The recipes are clear and fairly simple,as are the cooking tips and suggestions in the front of the book. With a few exceptions, most recipes included ingredients I already have on hand. I also liked that these were recipes which could be frozen. I wish cookbooks had a photo for every recipe, but that's my personal pet peeve. A great cookbook for people looking for go-to recipes and variations of old favorites. 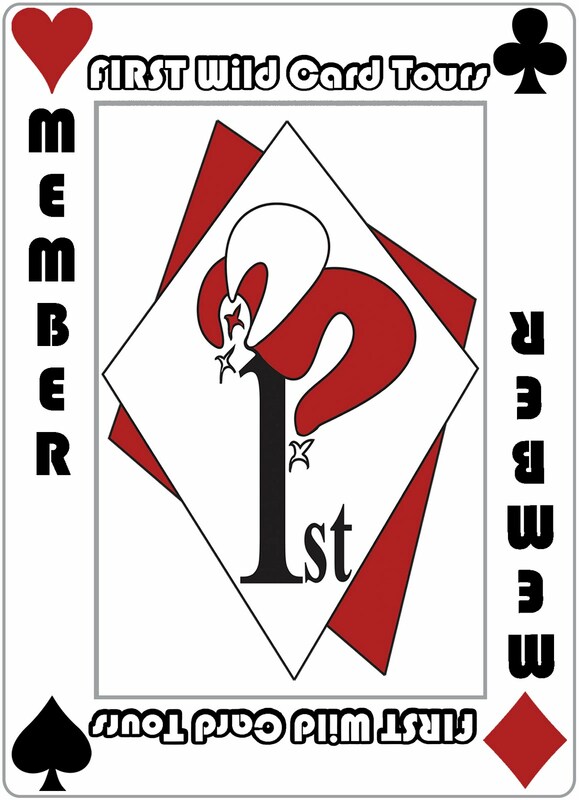 Available April 2012 at your favorite bookseller from Revell, a division of Baker Publishing Group. Thanks to Donna from Baker Publishing for the opportunity to review this book. You can learn more about the Don't Panic books here. You can purchase your own here . 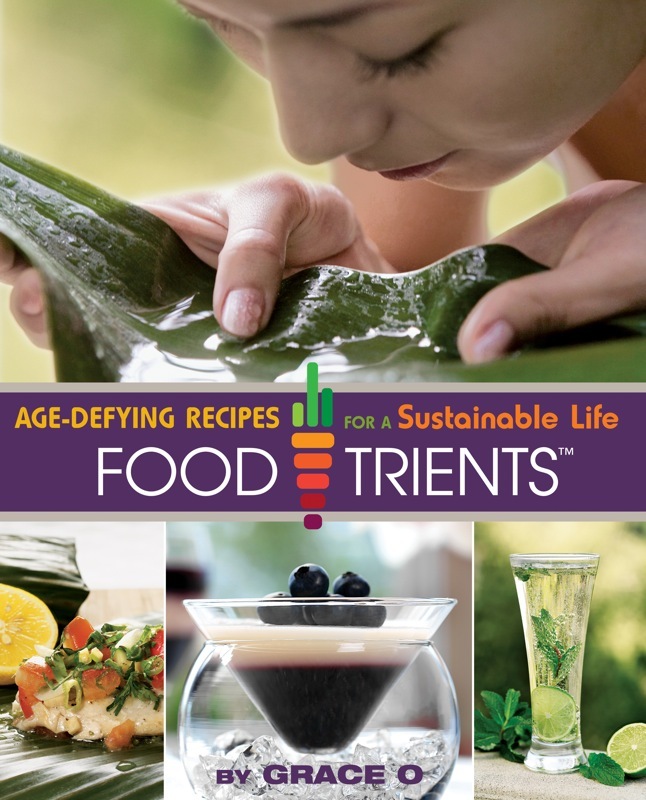 A Revolutionary Recipe for Anti-Aging FOODTRIENTS: Age-Defying Recipes for a Sustainable Life is a new cookbook (and website) dedicated to bringing the science of aging out of the lab and into your kitchen. 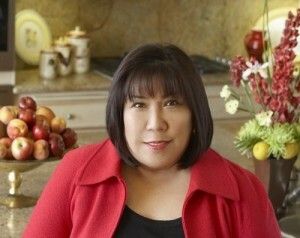 Grace O strives to create flavorful food using the finest ingredients that ultimately lead to good health. Her recipes, although low in saturated fat, salt, and sugar, are high in flavor. Grace employs spices from all over the world to enliven her dishes, creating food that is different and delicious. She believes that food can be just as effective at fighting aging as the most expensive skin creams. And since she’s over 50 herself, she’s living proof of that theory. Thanks to Lisa at TLC Book Tours for the opportunity to preview this book. 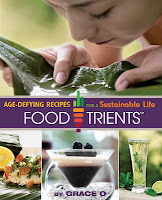 You can learn more about Grace O and FoodTrients here. You can purchase your own copy here . You can see other reviews and tour stops here. Monday, May 7th: Get Healthy with Heather! 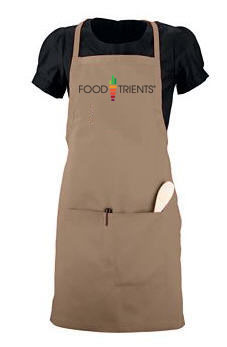 Because I think many of you will enjoy FoodTrients, thanks to the publisher, I'm offering a giveaway, which includes not only a copy of the book, but this absolutely awesome apron. Hannah Levi is renowned throughout Venice for her gift at coaxing reluctant babies from their mothers—a gift aided by the secret “birthing spoons” she designed. But when a count implores her to attend to his wife, who has been laboring for days to give birth to their firstborn son, Hannah is torn. A Papal edict forbids Jews from rendering medical treatment to Christians, but the payment he offers is enough to ransom her beloved husband, Isaac, who has been captured at sea. Can Hannah refuse her duty to a suffering woman? 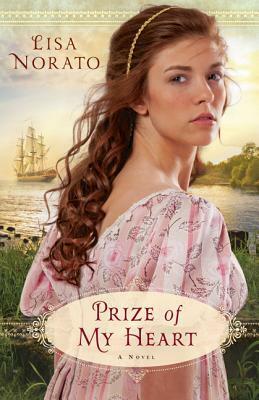 Hannah’s choice entangles her in a treacherous family rivalry that endangers the baby and threatens her voyage to Malta, where Isaac, believing her dead in the plague, is preparing to buy his passage to a new life. Not since The Red Tent or People of the Book has a novel transported readers so intimately into the complex lives of women centuries ago or so richly into a story of intrigue that transcends the boundaries of history. I love Venice. 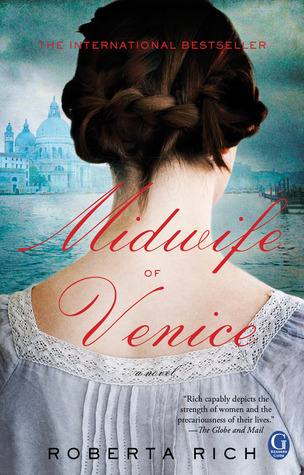 I loved visiting that beautiful city and I love when Venice is the setting for a story, whatever the time or era. I'd seen this book and was intrigued. Unfortunately, it just wasn't one that lived up to my expectations. I liked Hannah, I liked the historical aspect of childbirth and midwifery. I didn't connect with Isaac nor with his parallel story. The descriptions are vivid and the research well done, but the story fell flat. I ended up skimming most of it and I don't think I missed much. Thanks to Melissa from Simon and Shuster for the opportunity to review this book. You can learn more about Roberta Rich here. You can purchase your own copy here . Charlotte owns a chic Birmingham bridal boutique. Dressing brides for their big day is her gift . . . and her passion. 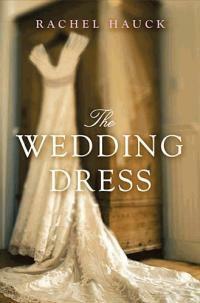 But with her own wedding day approaching, why can't she find the perfect dress…or feel certain she should marry Tim? Charlotte Malone has a knack for finding the perfect dress for each bride who comes into her shop. Finding the perfect dress for herself is another story. As she questions her decision to marry Tim Rose, she inadvertently purchases an old trunk at an auction and when the trunk is opened, discovers a gorgeous, vintage wedding gown. As Charlotte searches for answers to who the previous owner was, she discovers more than she ever imagined. As these stories are woven together and as Charlotte begins to make connections and find answers not only about the dress, but about her own life Christian without being preachy, this is a story about love, family and friendship. I loved these characters. I loved this story of one wedding dress and the effect is has on four different women of different generations. Thanks to Amy at Litfuse Publicity for the opportunity to review this book. 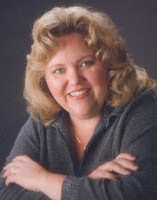 You can learn more about Rachel Hauck here. You can purchase your own copy here. You can see other reviews and tour stops here. When aspiring writer Michael Warner inherits his grandfather's venerable Charleston estate, he settles in to write his first novel. But within the confines of the stately home, he discovers an unpublished manuscript that his grandfather, a literary giant whose novels sold in the millions, had kept hidden from everyone--but clearly intended Michael to find. As he delves deeper into the exciting tale about spies and sabotage, Michael realizes this story is different from all of his grandfather's other books. It's actually a love story. And he discovers something that has the power to change not only his future but his past as well. Laced with suspense and intrigue, The Discovery is a richly woven novel that explores the incredible sacrifices that must be made to forge the love of a lifetime. 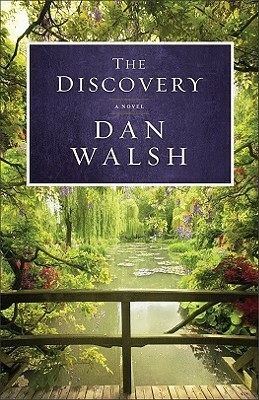 Author Dan Walsh delivers yet another unique and heartfelt story that will stick with readers long after they turn the last page. When Michael Warner's beloved grandfather dies, Michael inherits his Charleston estate and has one goal in mind: to write his own novel at the same desk his grandfather wrote all of his. Instead of starting his own novel, however, Michael discovers an unpublished manuscript his grandfather left behind and as he reads it, Michael learns secrets about his grandfather and his family. A beautiful story about love, family and country. Michael learns his grandfather's history, how he met Michael's grandmother during World War 2 and secrets he never dreamed of. I love that this is a WW2 story set in America. Because that war was fought away from mainland America, there are few stories from this perspective. It was, quite simply, fascinating. I loved these characters. I laughed with them and cried with them. It's hard to tell you why I love this story so much without giving away too many spoilers. Suffice it to say, this is a remarkable book and one that will stay with you. I have loved everything I've read by Dan Walsh. I think The Discovery is my favorite. At least, so far. Available April 2012 at your favorite bookseller from Revell, a division of Baker Publishing Group. Thanks to Donna Hausler of Baker Publishing for the opportunity to review this book. 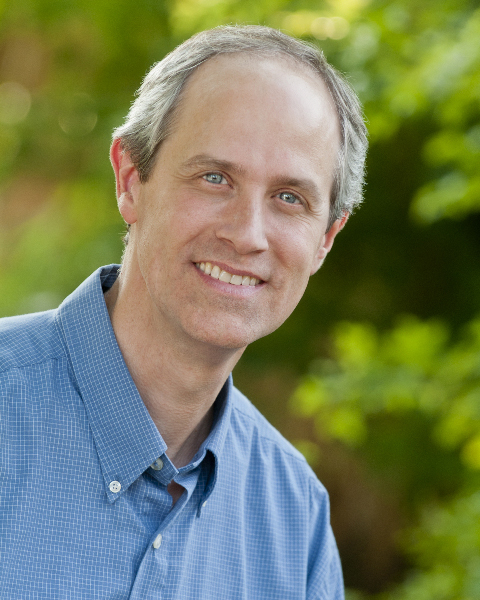 You can learn more about Dan Walsh here. You can purchase your own copy here . 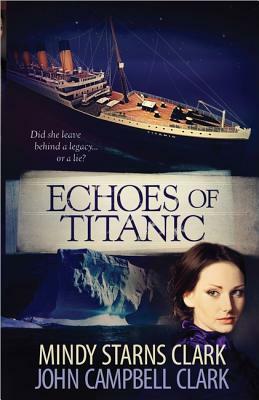 Now facing a hostile takeover, the firm’s origins are challenged when new facts emerge about Adele’s actions on the night Titanic sank. Kelsey tries to defend the company and the great-grandmother she has long admired, but the stakes are raised when Kelsey’s boss is murdered and her own life threatened. Forced to seek help from Cole Thornton, a man Kelsey once loved—and lost, thanks to her success-at-all-costs mentality—she pursues mysteries both past and present. Aided by Cole and strengthened by the faith she’d all but forgotten in her climb up the corporate ladder, Kelsey races the clock to defend her family legacy, her livelihood, and ultimately her life. With this year being the 100th anniversary of the sinking of the Titanic, the number of Titanic related books shouldn't surprise any one. However, given that most men aboard the ship didn't survive, it's hard to write a happy love story with the Titanic as backdrop. This was a pleasant surprise. The Clark's have taken the sinking of the Titanic and made it part of the story, but the real stories are those of Adele and Jocelyn 100 years ago and Kelsey today. As Kelsey fights a hostile takeover of her family's company, she must also discover the truth about her great-grandmother: is she really who she said she was or is everything Kelsey knows, based on a lie? I enjoyed the parallel stories and reading about Adele's life as Kelsey is trying to discover the truth about it as well. There was just the right amount of romance and suspense here. An engaging, easy read. Thanks to First Wildcard and Harvest House Publishers for the opportunity to review this book. You can read the first chapter here. You can learn more about Mindy and John Clark here. You can purchase your own copy here . Cerebral Girl in a Redneck World! A couple since their sophomore year, Sydney and Alex are looking forward to graduation and a bright future together. Sydney is straight-A student trying to decide between college scholarships and Alex is a quiet jock preparing to serve a mission. Both active members of the LDS Church, their hopes and dreams painfully fade when they learn that Sydney is pregnant. The very foundations of their faith are shaken, as is their relationship. Separately, they venture through confusion, self-doubt, and failure as they learn the value of forgiveness and try to piece their broken lives back together. Sydney and Alex are high school sweethearts anxious for graduation. 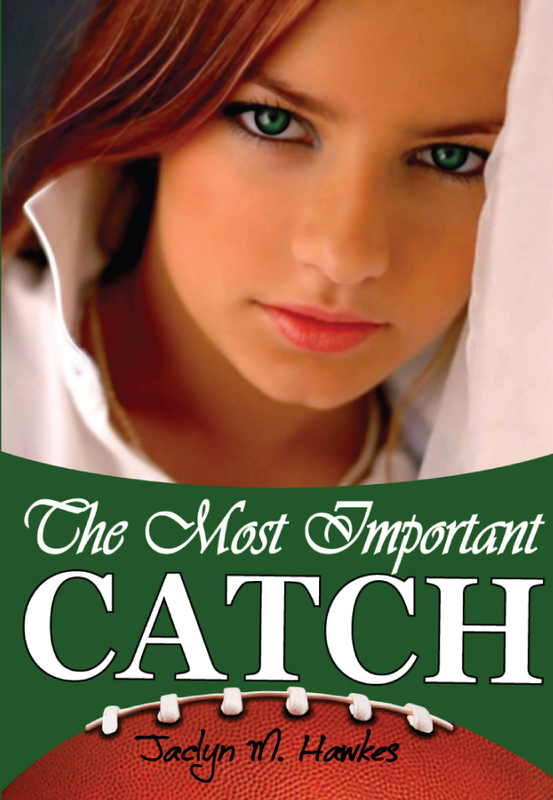 When they discover that Sydney is pregnant, they realize that their future is likely to be very different than the one they originally imagined. How they come to terms with their faith, their relationship and that future is a very different journey for each of them. The alternating perspectives were good and I liked the corresponding weeks of Sydney's pregnancy. It was nice to see where Sydney and Alex were as they worked through this. I do think Alex got off relatively easy in some regards, but perhaps that is often the case with the young woman bearing most of the burdens, physically as well as emotionally. The way Sydney was treated by friends and other church members was heartbreaking, but I suspect it was all too true as well. I appreciated that the story also focuses more on Sydney's pregnancy and the effect it has on her life as well as Alex's, rather than the how or when she got pregnant. In that respect, it's a clean YA novel with a sensitively handled subject. The ending was a little too neatly wrapped up, particularly after the hostility that Alex's mother showed toward Sydney. It would have been interesting to see that relationship explored further, especially given how the book ends. While the story is obviously geared toward an LDS audience with many LDS-related references, it will appeal to those of any faith. Teen pregnancy isn't something that is limited to one particular faith or demographic. I think that this would be a great book for any teenager and it is one that could spark some good conversations between parents and teens. Overall, a terrific debut novel and one I enjoyed. I look forward to more from Stephanie Worlton. Thanks to the author for the opportunity to review her book. 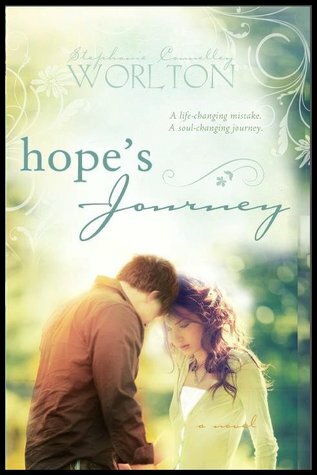 You can learn more about Stephanie Worlton here, including the backstory to Hope's Journey. You can see other reviews and tour stops here. You can purchase your own copy here . Stephanie is offering a fantastic giveaway of a signed copy of Hope's Journey and an Amazon gift card. You can enter the giveaway here. Buy it and support a great cause! Jaclyn will be launching The Most Important Catch on April 3rd. Both she and her publisher are going to donate 50% of the proceeds of all sales of this book from Amazon.com for that day—both e-books and paperbacks, to an account for Porter Hancock, her neighbor who was paralyzed from the neck down last October in a high school football game. You can read more about Porter at www.helpporterhancock.bbnow.org/ or on Jacyln's blog at http://jaclynmhawkes.com/2012/03/launchfundraiser/. Please help spread the word by posting about this on your blog, Facebook, Twitter, or other social networking sites. She knew too much, and she’d seen too much! She ended up in North Carolina, home to one of the most famed and eligible NFL football stars in the whole league; only she didn’t know that. She thought he was a businessman. Not being a huge fan, all she knew was that he was incredibly attractive, kind, generous, and that she was safe with him. His brand of fame proved to be all but deadly, but his fame wasn’t nearly as lethal as his attraction. He kept her safe and protected. Except for her heart. Look for my review of this book at a later date.